Baxtek Solution Barcode verifiers check a 1D & 2D barcode against an industry application standard and grade the barcode's quality. BaxTek can supply you with the best ID card printer for your business needs. We can tell you which ID card printers are best for your individual needs, whether you are looking for a badge printer, plastic ID card printer or a Fargo ID card printer. Maybe you need a laminating ID card printer in order to make photo ID cards, or you just need to find someone who does Fargo ID card printer supply � call BaxTek Solutions! If your company needs to create ID badges, photo ID cards for the first time, or if you're upgrading to a new ID card printer system, ask BaxTek any questions you might have. 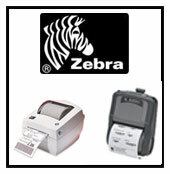 We're happy to match you up with the right plastic ID card printer. The printer/encoder of choice for government, corporate and other high-security applications. Fargo HDP600 Series High Definition Card Printer/Encoders print, encode and laminate smart cards and other technology-rich ID cards with consistency and perfection. Images are printed on the underside of clear HDP® Film. The film smoothes over surface irregularities of cards with embedded electronics, and up to the edges of smart chips. When combined with advanced security features, High Definition Printing is ideal for helping government organizations comply with HSPD-12 . Scalable to grow with your identity programOptional magnetic stripe, lamination and other modules can be built into HDP600 Series printer/encoders at any time. You'll be able to print, encode and laminate in one continuous pass. control. Supplies load fast, and an informative LCD panel provides clear instruction. You also get automatic card cleaning and a reject hopper for malfunctioning cards. Want to personalize CR-90 or other oversized cards? No problem. The Fargo HDP820 gives you a High Definition PrintingT option for cards of nontraditional sizes ( download brochure ).